Carved by hand from native sese wood, this elegant mask is an original design by Awudu Saaed. The cheerful personage is enhanced by aluminum with richly ornate textures. 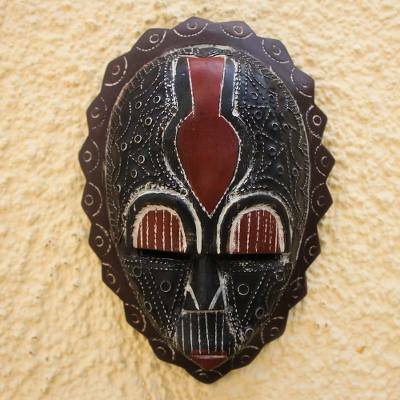 The artisan names the mask Anigye, "Happiness" in the Akan language. "Perfect addition to our mask collection"
This was the perfect addition to our mask collection.